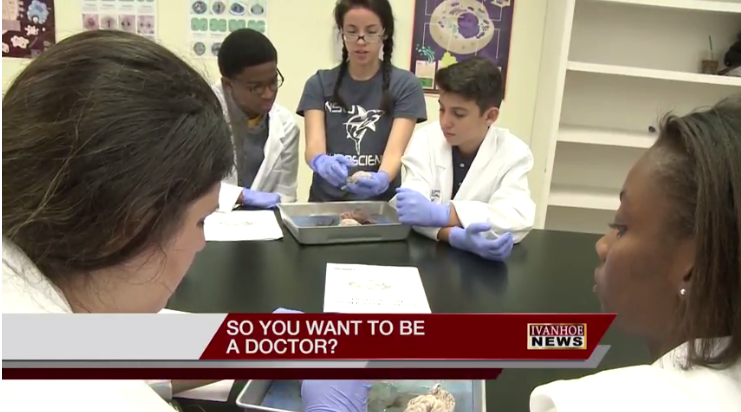 NSU’s Dr. Kiran C. Patel College of Osteopathic Medicine offered a camp called AIM-High, which stands for “achieve in medicine.” AIM-High was exclusively designed for academically strong high school students who are interested in pursuing a career in health care. This year, almost 100 students from 22 states participated in the Aim High and Aim Higher camps at NSU. During the training sessions, students worked with maggots, cow eyeballs, sheep brains and numerous parts of pigs, all those tools were used to learn things like anatomy, wound care, dissection and suturing. “Many students look at television and think that’s the life of a physician,” said Dr. Elaine Wallace, dean of Nova Southeastern University’s College of Osteopathic Medicine. CLICK HERE to watch the full segment on IVANHOE news.